In the meantime I improvise. 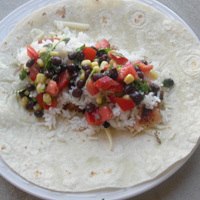 Mission has recently marketed a line of flavored wraps to the public, which makes it a lot easier to make your own at home. 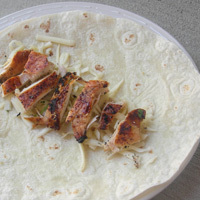 This particular wrap is called the Anniversary Wrap, since I celebrate my anniversary in September. The ingredients are modeled after my favorite wrap from my tortilla warming days—one that I used to share with my now husband on a break. We solved all kinds of world issues over a wrap just like this one, and we still talk each other’s ear off all these years later. Happy Anniversary Ty! 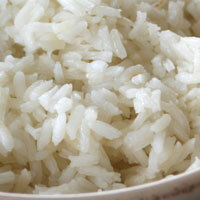 Start your rice. Prepare chicken with olive oil and salt and cracked pepper. Grill and slice in strips. 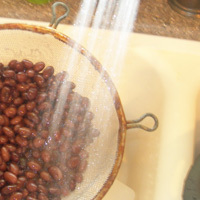 For the Salsa: Rinse your beans. At the restaurant we used black beans, but I also like black eyed peas sometimes. I'm told by my husband that they're an acquired southern taste, but I love them. 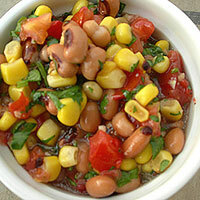 Chop tomatoes and add your beans and corn to the mixing bowl. You don't need to thaw the corn. Just throw it in. Mince the garlic and chop your cilantro. Add 1 C prepared italian dressing and stir to combine. 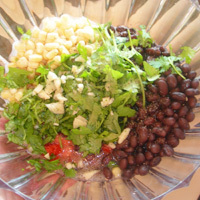 This is what it looks like with black eyed peas. So good, right? 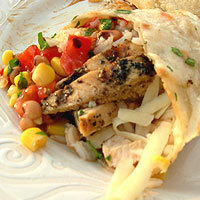 Layer a tortilla with cheese and chicken. Add your rice and a good amount of salsa. 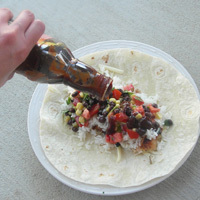 The barbeque sauce makes this wrap! If you don't believe me, just try a little on the side. I am winning everyone over one person at a time. Don't you trust me? Serve outside if you possibly can. This is a backyard super supper! 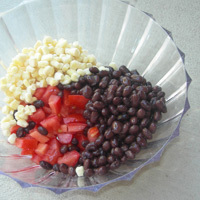 Assemble all ingredients and adjust salt to taste. You can add more Italian dressing if you want more sauce. 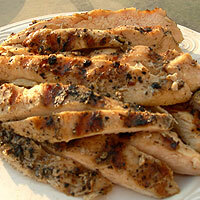 Dress chicken with Kosher salt, Cracked pepper, and Extra Virgin Olive Oil on both sides. Marinate in the Oil for at least 15 minutes. Grill, let the meat rest for 10 minutes, and slice it into strips.